The third one is the biggest yet. 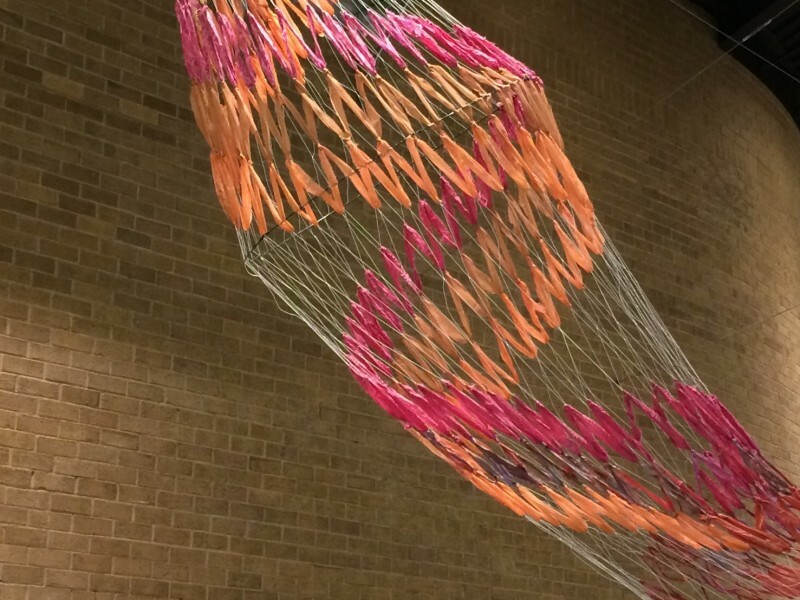 About 25 feet long, it was made from recycled fabric strips and fishing line, forming a spiral pattern, like “Spiral Bycatch.” It was part of the Man/Made show at the Takoma Park Community Center from November through December 2016, suspended in the central atrium area over the entrance to the police station on the first floor. 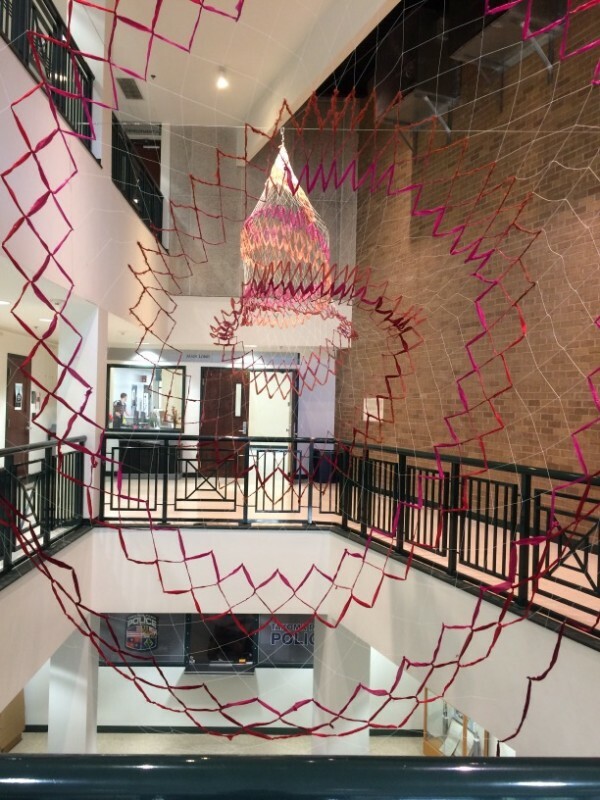 What had been the open base for the previous nets was elevated to open like an entry into the center of the spiral, the entry point for which was viewable from the second-floor entrance to the community center. 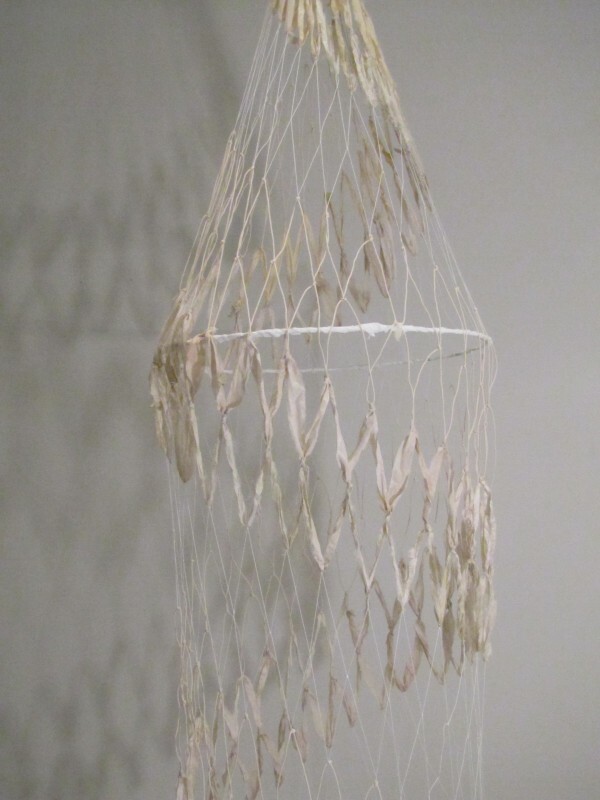 It still had a traditional net form, but read more ambiguously as both the net and something the could have been caught at sea – perhaps a squid or jellyfish. 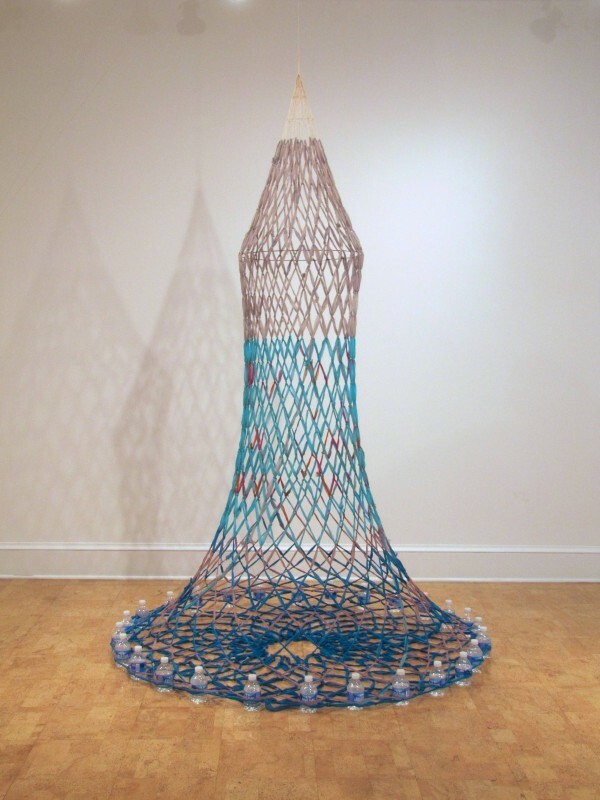 This show was installed during the week of the 2016 Presidential election, and provided a meditative, colorful, and technically complicated distraction from the seeming chaos unfolding in the country. I hope the presence of such a large contemplative object helped provide a way for people to explore issues larger and more abstract than the day-to-day world. This entry was written by beelsebub, posted on October 8, 2017 at 10:05 am, filed under General. Bookmark the permalink. Follow any comments here with the RSS feed for this post. Post a comment or leave a trackback: Trackback URL.